Robin Lindley (robinlindley@gmail.com) is a Seattle writer, attorney and features editor for the History News Network. His interviews with scholars, writers and artists have appeared in HNN, Crosscut, Writer’s Chronicle, Real Change, The Inlander, and other publications. He has a special interest in the history of medicine. Memory is the stuff of history. Historians rely on the memories of individuals as they seek and discover the facts and stories from which we create our public memory. Thus, knowledge from a scientific perspective of how human memory works can be instructive to historians. In the past century, ideas and research about how we remember have evolved dramatically and have been shaped at times by technological advances from movie cameras and tape recorders to computers and digital technology. But, like history, human memory is much more complicated. Distinguished psychologist and memory scientist Dr. Daniel L. Schacter recently discussed his research that may help historians understand and appreciate the fragile character of memory. Memory is much more than a simple retrieval system, as Dr. Schacter has demonstrated in his research. 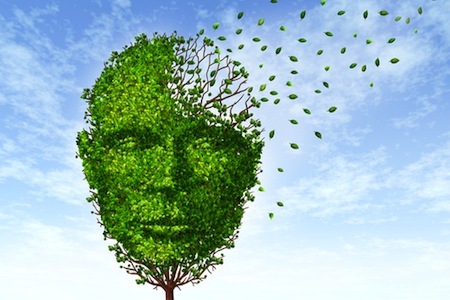 Rather, the nature of memory is constructive and influenced by a person’s current state as well as intervening emotions, beliefs, events and other factors since a recalled event. And, as Dr. Schacter has learned, memory can be extremely accurate, but is often prone to error. With an understanding of memory distortion and other errors, historians can better assess the materials and evidence from the past they analyze and report. Dr. Schacter is William R. Kenan, Jr. Professor of Psychology at Harvard University. His books include Searching for Memory: The Brain, The Mind, and The Past, and The Seven Sins of Memory: How the Mind Forgets and Remembers, both winners of the American Psychological Association’s William James Book Award, and Forgotten Ideas, Neglected Pioneers: Richard Semon and the Story of Memory. He also has written hundreds of articles on memory and related matters. He was elected a Fellow of the American Academy of Arts and Sciences in 1996 and the National Academy of Sciences in 2013. Dr. Schacter's research interests include analyses of memory, amnesia, and consciousness; memory distortion and the brain mechanisms underlying false or illusory memories; and emotional influences on memory. And a recent research concern is how memory is used to imagine or simulate possible future events. His research involves cognitive studies and neuropsychological analyses of patients with memory disorders, as well as functional brain imaging techniques such as functional magnetic resonance imaging. Dr. Schacter recently talked by telephone from his office at Harvard about his memory research and thoughts for historians. Robin Lindley: When I asked you a few weeks ago if you could comment about some things historians need to know about memory, what were your first thoughts? 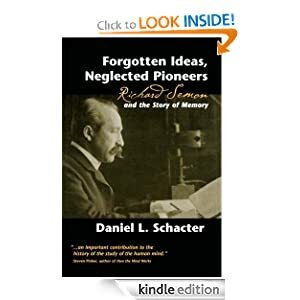 Dr. Daniel L. Schacter: The main point about memory that is potentially relevant to history that comes from the research I do and the people like me do and, as I’m sure historians are aware, is that memory is not a video recorder [but that] it’s a constructive activity that is in many ways accurate but prone to interesting errors and distortions. It’s the constructive side of memory that is most relevant to historians. Your view of memory ties with the idea of historians who say that every generation reinvents the past in light of its own experience. Yes. We have a lot of evidence of that sort of thing: memory serving the needs of the present, and the past being reshaped by current knowledge, beliefs, emotions and the like. In [my book] The Seven Sins of Memory, I went through categories of memory errors, seven ways in which memory can fail -- different kinds of forgetting and distortion. One of those is bias, or what memory researchers call retrospective bias, which reflects the key point that memory isn’t just activating a trace of a past event but it’s much more constructive. Part of that construction involves your current knowledge, your needs, your beliefs, your emotions -- and all that has the potential to skew or bias what you remember from the past. Is it the case then that our memories constantly change every time we access them? I wouldn’t go so far as to say they always or constantly change every time. But there’s that potential for change because we know that retrieving memory is not just like bringing up a computer file and putting it back. We know that the act of retrieving a memory has the potential to strengthen the memory. It can sometimes weaken related memories that you don’t retrieve. And it can change the memory. But that very much depends on what goes on at the time of retrieval. If I remember a past experience and I relate it to somebody else and I want to make an impression on them or convince them of how impressive something was that happened to me, I might exaggerate certain aspects of the experience or over-emphasize the dramatic nature of an event, and that may go in as my memory of the event, and eventually the original memory may be lost. That certainly can happen depending on how you recount a memory. What you emphasize. What you exaggerate. What you don’t talk about. All of those things will shape and sculpt the memory for future use. Certainly the potential is there. Your research indicates that our memories are prone to error in many ways. How good are our memories? With respect to accuracy, memory is not a complete fabrication. It wouldn’t have served use well in evolution if it were. There are many circumstances under which memory can be quite accurate. We certainly have the capacity to encode a lot of detail about an experience. When we carry out appropriate kinds of encoding operations and we think about the meaning of incoming information in particular, that can allow us to remember it very well. A lot in memory accuracy depends on the kind of information you’re talking about and also when you test memory. Memory tends to be accurate very soon after an event has occurred, but as time passes, as we all know, forgetting is more likely. And one of the things that researchers find is that, over time, we tend to lose the precise detail or access to an experience, but we’re still pretty good at remembering the gist or the meaning of that experience. We can be very good at remembering the significance, the meaning, the gist, over long periods of time even when we lose a lot of the detail. And you distinguish remembering and knowing. Remembering and knowing is more related to the level of detail memories express. We’re remembering detail, recollecting particular details of something that happened, whereas knowing is more equivalent to familiarity. It’s like knowing something is familiar to me. I see a face and know the face is familiar to me. I know I’ve seen the face of the person before. It’s highly familiar but I can’t recollect any details of where I’ve seen the individual, how I know that person, and so forth. So it’s that distinction. Historians prefer to rely on memories of an event that are written down contemporaneously or soon after an event. Is that a reliable way to look at the past? It depends, but certainly on average it will be more reliable than memories that are recorded after a long time has passed. That doesn’t mean there couldn’t be distortions in there, and there might well be, depending on a host of circumstances that might apply to any one memory. It’s similar to the issue that arises in the legal system with eyewitness testimony. If you have questions about an eyewitness memory, you want to ask about potential corrupting influences. Has the person been asked leading questions or [given] suggestions? Were the conditions of encoding or viewing or experiencing an event ones that are likely to lead to good memory or not? I guess the same could be true for a historian. But all other things being equal, the closer in time the memory is recorded to an event, probably the more reliable it will be -- but that doesn’t insure its accuracy. Research on memory shows that the more distant in time the event, the more prone to inaccuracy the memory. There are several experiments when subjects recorded impressions of an event soon afterward, then a year later and then a few years later, and the memory changed. Yes. It’s not that the information is lost but, as the memory weakens, you become more prone to incorporating other kinds of information or mixing up elements of other events. This has been seen, for example, in the study of flashbulb memories. Where were you when Kennedy was shot? Where were you when you heard about 9/11? Close in time, people have all the details available to tell you exactly what happened, but in studies that follow people you have the same person a year later or three years later, and you get a very different story out of that individual concerning the so-called flashbulb memory of the event. Sometimes that may involve mixing up elements of different experiences. There was a study a number of years ago on flashbulb memories of the Challenger explosion, and this was one of the first studies where the researchers used this approach with college students of getting a memory very soon after an event on the assumption that it’s mainly accurate, and coming back three years later. They found there were significant inaccuracies in many of these memories. They [the subjects] told a different story three years later than a day later. For example, a person said, “I first heard about this in class. Somebody told me and I walked back to my dorm and watched the news coverage on TV.” Three years later, the person was asked how did you first hear about this, and the person says, “I was sitting in the dorm with my friend and suddenly this thing came on the news,” having totally forgotten this was not how the individual first heard about it. When you lose detail, you become prone to lots of interesting memory errors. Isn’t there a tendency to add details or information that may make the story more convincing or interesting later? Yes. That’s more a social function of memory. It may be that you draw on your general knowledge and probable information from your memory in a social context where there may be social demands that lead you distort the memory. But all of those subtle influences are more likely to affect the accuracy of memory when you lose detail. When you have a vivid memory of an event that just happened a few minutes ago, you are less prone to those corrupting influences. Are flashbulb memories akin to memories of trauma? I think there are similarities in both cases. There’s emotion arousal and we know from studies of the brain and memory that emotional arousal brings different brain systems into the picture than when you’re just remembering more non-emotional experiences. Both flashbulb memories and traumatic memories have those emotional components and, compared to non-emotional memories or more ordinary, mundane memories, both traumatic and flashbulb memories do tend to have more detail and tend to be recollected more richly. But, as we discussed, that doesn’t mean they are photographic reproductions or exactly accurate or immune from distortion. They’re not. Your research shows that we remember in different ways. What are the different memory systems? That’s been prominent in memory research for a couple of decades, and there are a lot of ways of dividing up different kinds of memory and memory systems. One reasonably well accepted distinction involves episodic memory, the memory for personal experience; semantic memory, the memory for general knowledge; and procedural memory, the memory for skills and unconscious forms of memory. Those are three of the major kinds of memory and they all have different neural substrates. You can find some patient populations that have disorders of one type but not the other. It’s clear from your research that historians should be wary of a person’s memory even when it’s extremely specific. Your discussion of the testimony of White House Counsel John Dean about Watergate is illuminating. There was a perception that Dean had a photographic memory and he testified in rich detail about events. Yet later studies of White House tape recordings revealed that he was often inaccurate. He was perceived because of all the detail with which he reported events and the great confidence to be something analogous to a human tape recorder. Yet there was interesting work done by psychologist Ulric Neisser who went back and analyzed what Dean said at the hearings as compared to available information on the White House taping system and basically found many and significant discrepancies between what Dean remembered and what was actually said. He usually had the gist and the meaning and overall significance right, but the exact details were often quite different in his memory than what actually was said. Whenever you have a record of what actually happened you’re in a much stronger position obviously to evaluate the accuracy of memory. We typically don’t have that for real life, everyday experiences, but that was a nice case where we did have it. Dean remembered several things that weren’t true or accurate. That seems to get into the area of false memories and how they present problems in the legal system. We know from DNA exonerations of people wrongfully convicted of crimes that a large majority of those cases -- one of the more recent estimates is that in the first 250 cases of 2011 DNA exonerations, roughly 70 to 75 percent of those individuals were convicted on the basis of faulty eyewitness memory. So they got put away and were ultimately were exonerated based on DNA evidence. We know this is a significant problem. We also saw that, as I wrote in Searching for Memory years ago, in the controversy over false and recovered memories. A lot of these memories recovered in psychotherapy where individuals came to believe they had recovered long repressed memories of childhood sexual abuse turned out to be inaccurate and were the product of suggestion and other therapeutic practices that induce false memories. There’s been a lot of laboratory research on this over the last fifteen years showing that at least a significant minority of individuals will generate false memories of everyday experiences that never happened in response to various probes and questions. We know that trying to imagine events that might plausibly have occurred -- “picture this in your mind” -- increases the chance of someone developing a false memory about an event they imagined that never really happened. One of the interesting recent lines of research that my lab has been involved in over the past few years has been looking at similarities between what goes on between the brain and mind when we remember past events on the one hand and imagine events that might occur in the future or might have occurred in the past. What we have found, particularly with brain scanning studies, is that you get very similar brain networks coming online when you remember past events and imagine future events, for example. Many of the same brain regions or network of structures come online, and this has helped us understand more why, for example, imagining events that might have occurred can be so harmful to memory accuracy because when you imagine, you’re recruiting many of the same brain regions as accessed when you actually remember. So it’s not surprising that some of these imagined events can actually turn into false memories under the right circumstances. I had a couple more questions about types of memory. What is the difference between working memory and permanent memory? Working memory is really a temporary memory buffer where you hold onto information, manipulate information, use it, and it’s partly a gateway to long-term memory and also a buffer that you use when you’re retrieving information from long-term memory and that information temporarily resides in working memory, so to speak. You also mention the concepts of field memory and observer memory. One of the interesting things about field and observer is that, again, as I wrote in Searching for Memory and I believe still holds, in field memory you are recalling a memory from the point of view as you initially experienced it. If memories were really a video recording, you’d think that would be the only kind of memory you could have: a playback of what you experienced at an earlier time. That’s why observer memories are so interesting, where you remember something and see yourself or observing yourself as a character in the memory. Of course, if memory were a playback that could never happen because you don’t see yourself as an agent in an event as it unfolds. You see it from your own eyes. I think the mere existence of observer memories speaks to the fact that memory often has this constructive element and it’s not just a replay of what happened. So an observer memory is like looking at a photo of yourself at your wedding or your first day of school -- you picture yourself as a character in the event you recall. Right. And we still don’t know how observer memories come about because we tend to have an observer perspective more for older memories, possibly through talking about them or seeing photos. They take on that quality. You stress the effect of our biases on our memories and you mention a study of the supporters of Ross Perot for president in 1992. That was on misremembering how disappointed or hopeful they were depending on their current state. One of the points from that Ross Perot study is that his supporters often misremembered what they felt like at the time he reported he had dropped out of the race. The nature of that misremembering depended on their state at the time they were remembering and what decisions they had made about Perot in the interim affected how they reconstructed their earlier memories. Again, that makes nicely the point that our current emotions and current appraisals of a situation can feed back into our reconstruction of the past and sometimes lead us to distort our memories so that they better support our current emotions and our current selves. We’re often using memories to justify what we currently know, believe and feel. Did the study show that the feelings of Perot supporters became less intense over time? It was not so much that the feelings became less intense, but they were modulated by the current state of the person at the time of remembering. Their feelings changed, and those changes in feeling led them to misremember what they had initially felt. Do you have any further thoughts on other things that would be helpful for historians to know about memory? A good beginning point is your view that memory doesn’t work like a video camera or tape recorder. That is the main point. Our latest thinking on this is the idea that one of the major functions of memory is to support our ability to plan for the future, to imagine the future, and to use our past experiences in a flexible way to simulate different outcomes of events. One thing we’re pretty good at is using our past experience to think about different ways in which a novel situation might play out. That can aid our planning because we can use our past experience to imagine, for example, how a difficult conversation with a friend might play out. We remember aspects of that person’s personality, different encounters we’ve had, and it allows us to flexibly use that information to run a simulation: suppose I say this to the person, suppose I say that to the person. We can use our memory to imagine events in that way, and that flexibility of memory is something that makes it useful to support this very important ability to run simulations of future events. But that very flexibility might be something that contributes to some of the memory distortion we talked about. That has been prominent in the last few years in my thinking about the constructive nature of memory. The historian Daniel Aaron told his students “we remember what’s important.” What do you think of that comment? I think that generally holds true. Certainly, again, more important memories tend to be more significant with more emotional arousal and may elicit “deeper processing”, as we call it in cognitive psychology. So I think that’s true. And finally, how did you decide to study psychology and what prompted you to devote your career to the study of memory? I decided to study psychology when my interest in the topic was stimulated by a high school course. I was a psychology major at the University of North Carolina at Chapel Hill, but only become interested in memory after graduation, when I worked as a research assistant for Dr. Herbert Crovitz at Duke University and the Durham Veteran’s Affairs Hospital. Crovitz had begun to study brain-damaged patients with memory disorders, and I tested many of those patients. I was intrigued by the extent of their memory loss despite general preservation of other intellectual functions. That led me to focus on memory in my subsequent graduate studies at the University of Toronto, a world center for memory research. Thank you so much for your comments Dr. Schacter. It’s been a pleasure talking with you.